Hey folks! We at Backcountry Journeys have been extra busy of late and have fallen behind on our Trip Reports. No time for apologies, lets get after catching up! 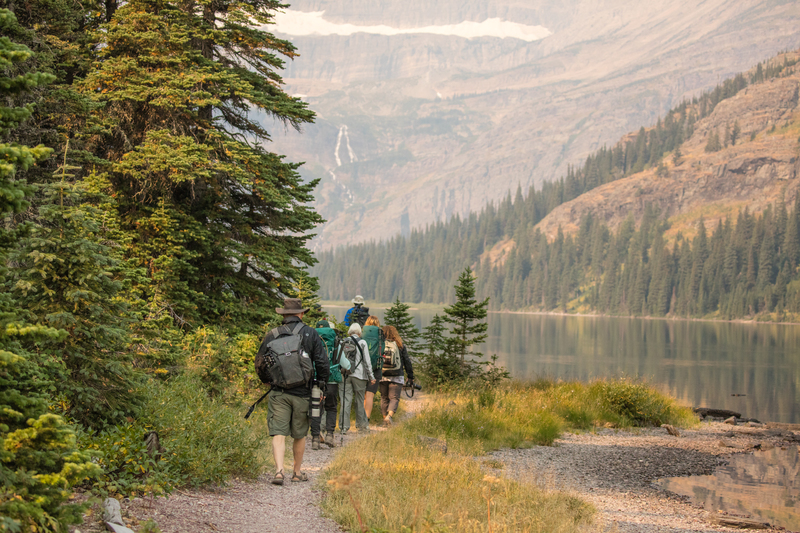 How about our late August (25th – 30th) trip to Montana’s Glacier National Park?!? That was a GREAT one! 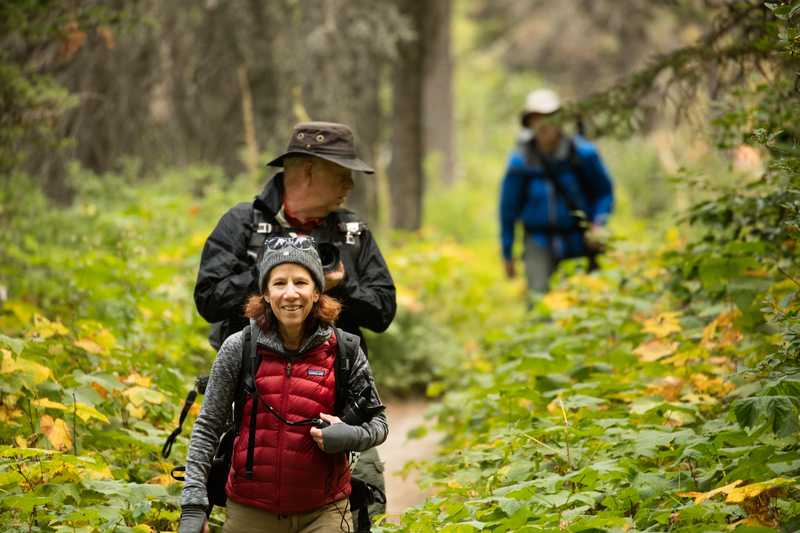 We pick summertime for trips to Glacier in order to take advantage of abundant flora like the park’s signature Bear Grass and wildflower blooms such as Indian Paintbrush, Glacier Lily and Fireweed. The longer days of summer also equal longer “magic-hour” photography sessions (which are of course mornings and evenings). 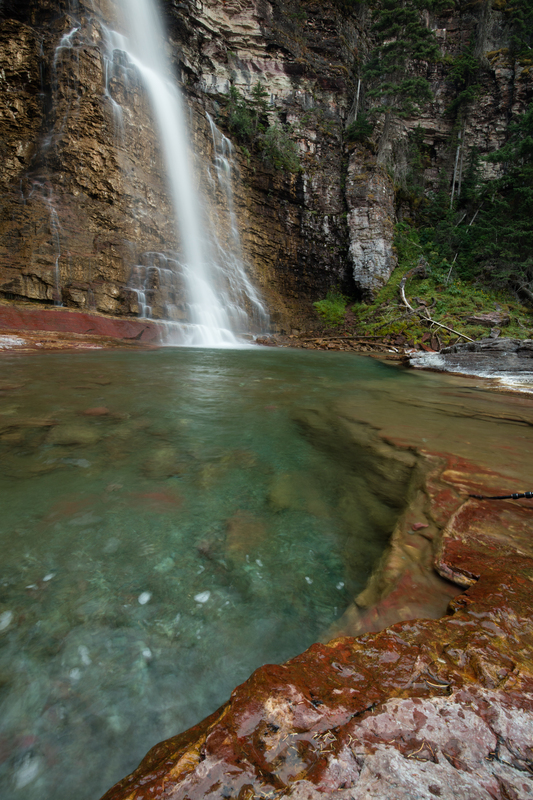 Glacier National Park includes parts of two mountain ranges, over 130 named lakes, more than 1,000 different species of plants, and hundreds of species of animals. This vast pristine ecosystem is the centerpiece of what has been referred to as the “Crown of the Continent Ecosystem”, a region of protected land encompassing 16,000 square miles. The Park has almost all of its original native plant and animal species. 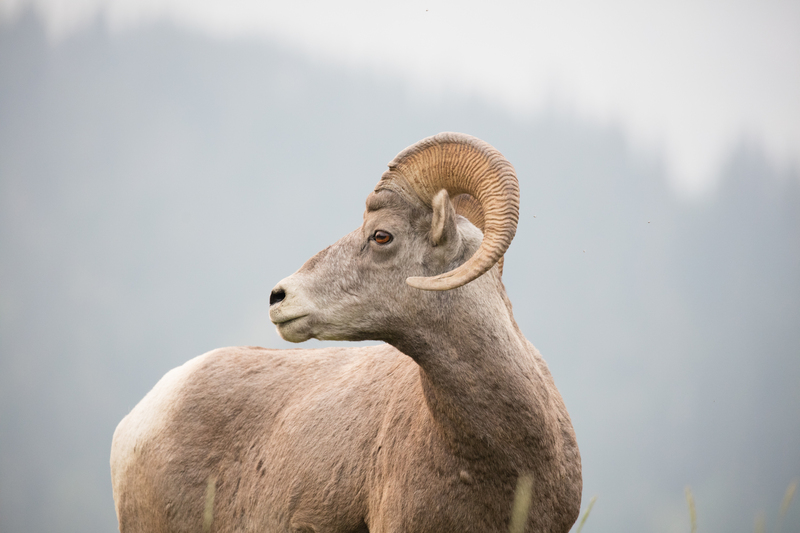 Large mammals such as Grizzly bears, Moose, and Mountain Goats, as well as rare or endangered species like Wolverines and Canadian lynxes, inhabit the park. Hundreds of species of birds, more than a dozen fish species, and a few reptile and amphibian species have also been documented on the numerous ecosystems ranging from prairie to tundra. 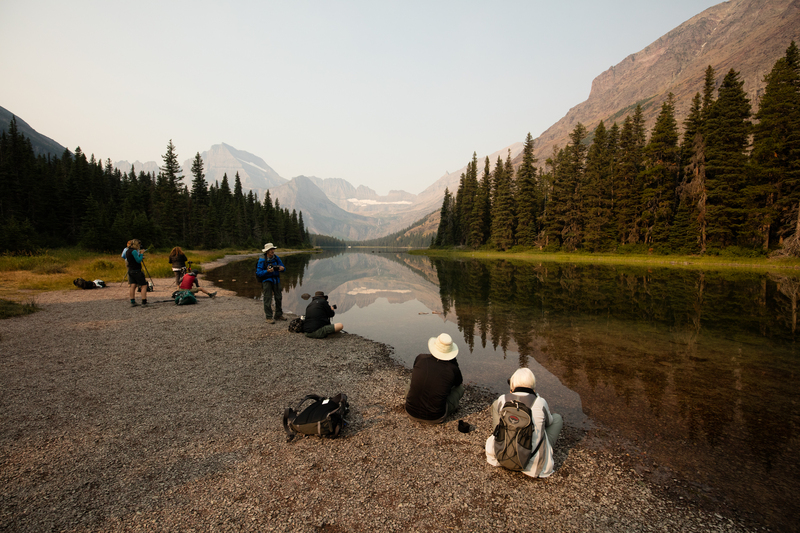 In late August I was joined in Glacier National Park, by ten seriously amazing folks… oh, and my wife Crystal – also seriously amazing (feel free anytime -and often- to tell her I said that). Perhaps you were on this trip? Maybe you’re reading this post thinking to yourself “dang, one day I’d like to be one of these amazing photographers Russ is doing a write up about!” Do you have what it takes to be labeled “seriously amazing?” Let’s find out together one day soon! 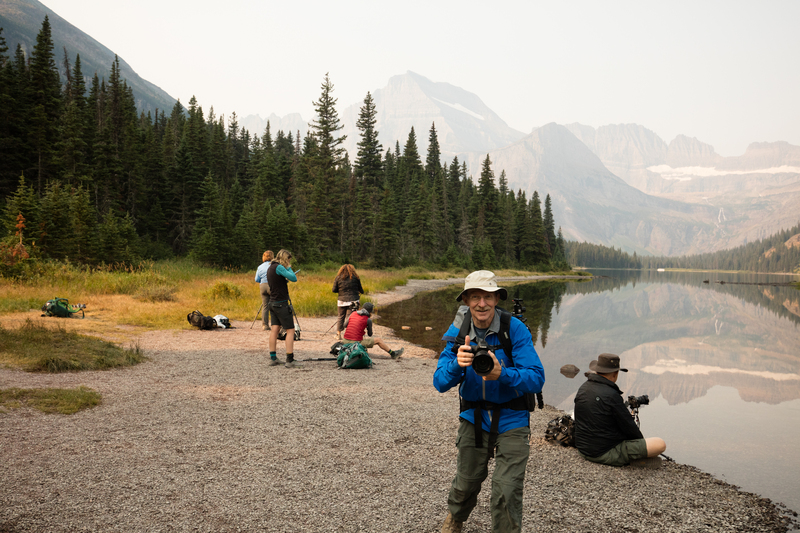 As we always attempt to do, we were able to maximize our time in the photographic field on this adventure, while still making time to enjoy the comforts of St Mary’s Lodge which has amazing food, great views of the mountains and comfy beds. The weather was interestingly hot and dry. Meanwhile, the skies were filled with smoke from the wildfires that had been spreading across the state seemingly all summer without relent. You may recall the horrific 2017 Montana wildfire season? As of early September, 2017, (shortly after this trip) there were 21 active fires statewide that had consumed over 438,000 acres. Two fires alone burned over 100,000 acres each! The first was the Lodgepole Complex Fire in eastern Montana, which started on July 19 and burned over 270,000 acres. The second was the Rice Ridge Fire, which was identified as the nation’s top wildfire priority after it rapidly expanded from about 40,000 acres to over 100,000 acres by this time in early September. 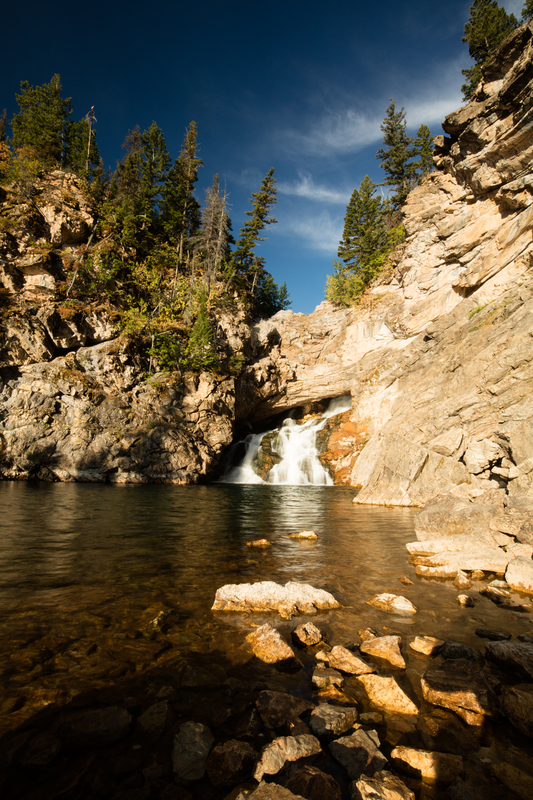 The months of June through August were the hottest and driest on record for Montana. In addition to composition, utilizing the light and conditions we have to create visually compelling images is at the core of what we do. So, that is exactly what we did with the smoke. We used it creatively – we had to. The fires, as devastating as they were, in the end added a very interesting dimension to our work and the images we were able to produce. 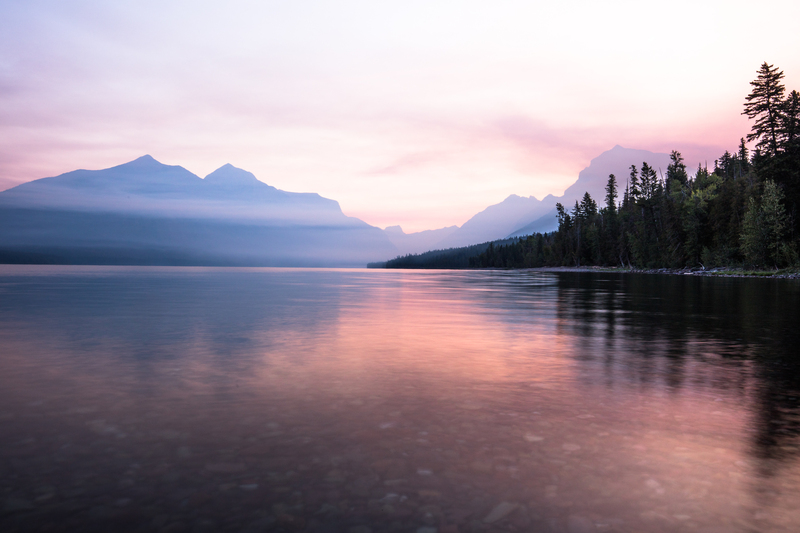 Trip highlights include an AWESOME first morning sunrise at Lake McDonald – the consensus was this was where the best images of the trip were made! 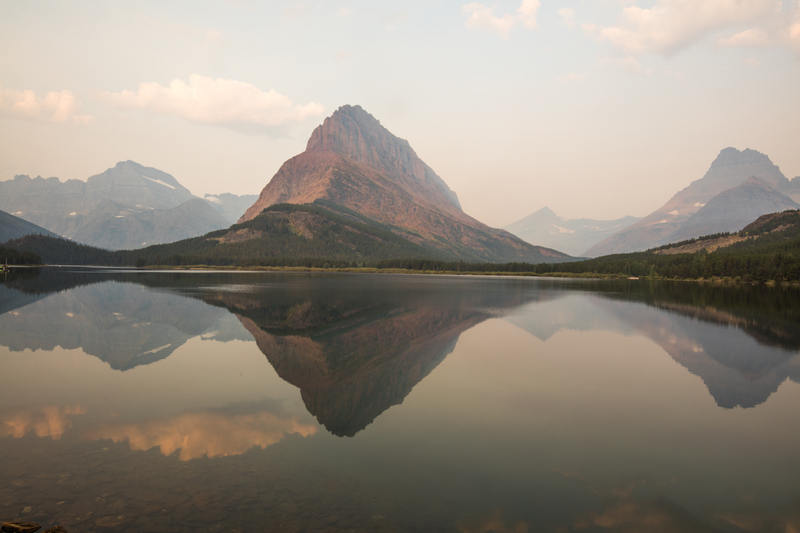 Also, the Many Glacier morning was excellent along the shores of Swiftcurrent Lake with Mount Grinnell as a backdrop. 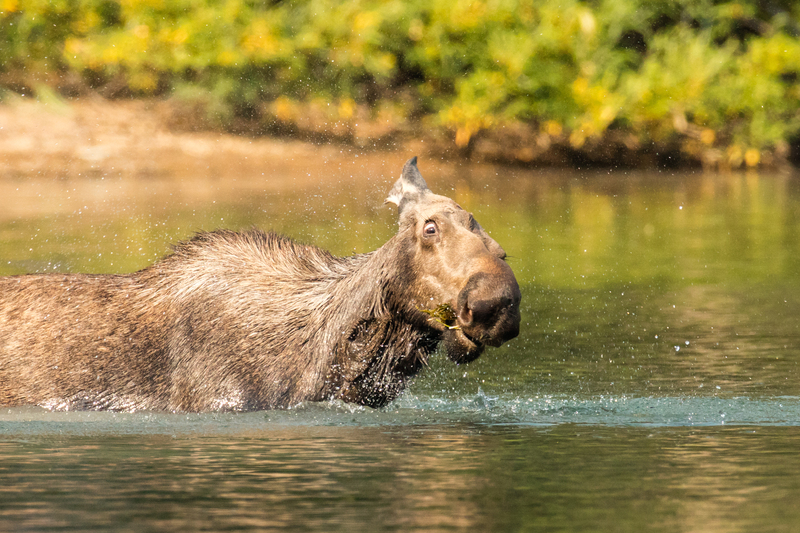 We had an AMAZING session with a photogenic cow moose that I’d be willing to bet my own money produced several images for the group that are now framed and on living room walls. 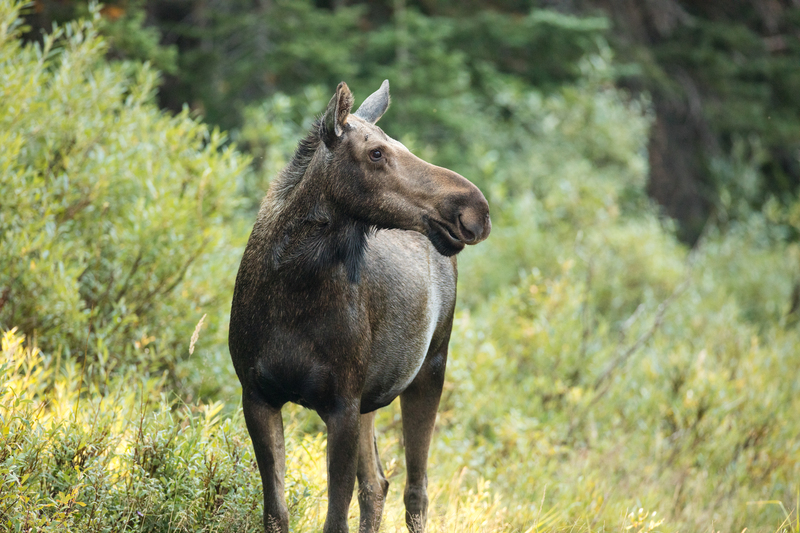 Shoot, let’s ask and find out… How many of those of you on this trip have an image from this moose in a frame on your living room wall? We’d love to see your work pasted in the comment section below! Not a one of us should forget our hike to Lake Josephine, with the Angel’s Wing in the background. 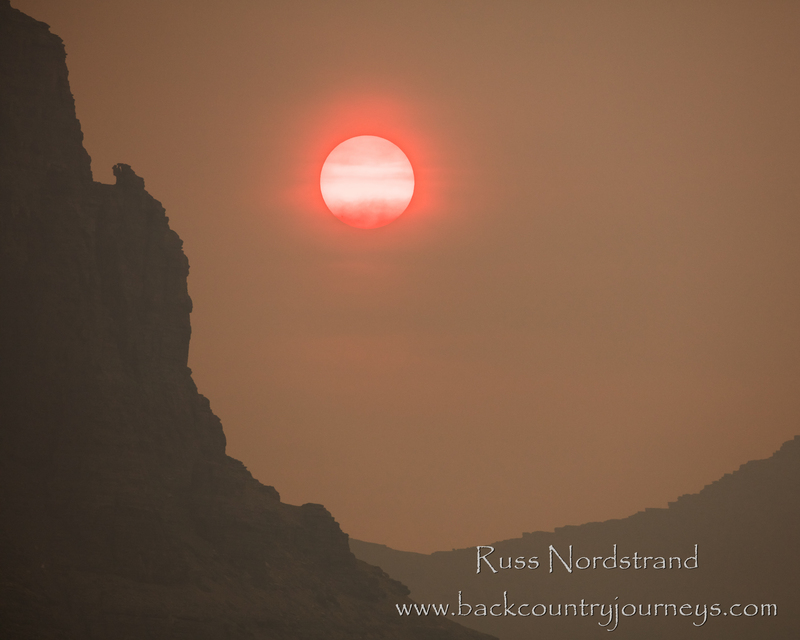 Nor the sunset at Logan Pass/Hidden Lake, which were wonderful experiences as well. Glacier National Park was a visual cornucopia, living up to its billing as one of the most surreal and colorful places on the planet. It’s stunning peaks, roaring waterfalls, occasional cow moose willing to pose, summer storms (or, in this case, the dry smoke filled skies) certainly allowed for moments we’ll never forget. I can’t wait to go back next summer.